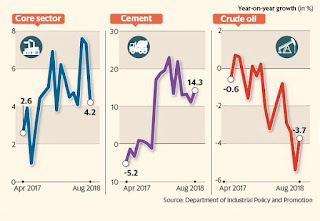 The eight infrastructure sectors that constitute 40.27% of the Index of Industrial Production decelerated to a three-month low at 4.2% in August as production of coal, refinery products and steel slowed down while fertilizer output contracted from its level a year ago. However, cement output continued to expand in double digits for the tenth consecutive month. 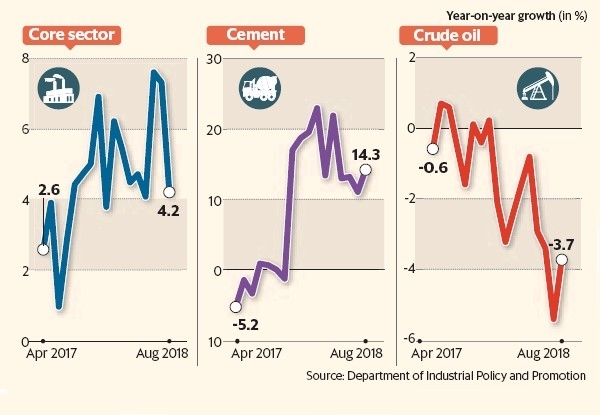 A low core sector growth rate may slow down IIP growth in August, data for which will be released on 12 October.